This 2 bedroom apartment is located in Bežigrad and sleeps 4 people. It has WiFi, garage and parking nearby. 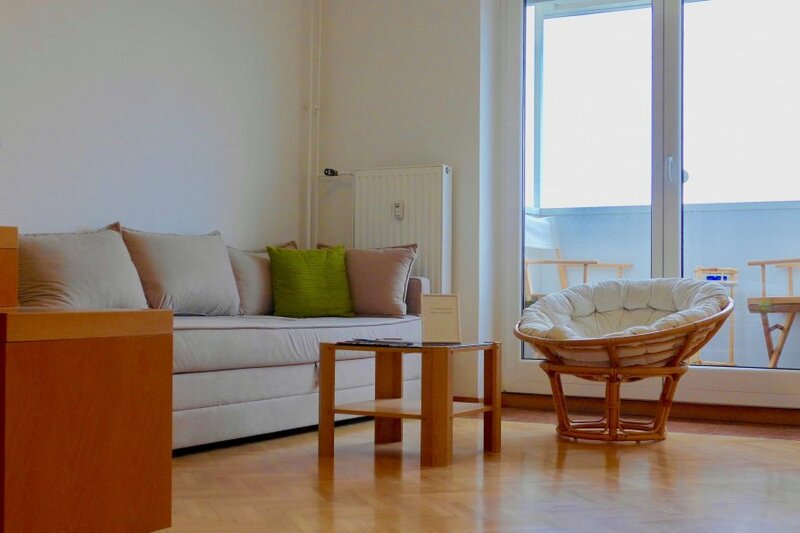 Welcome to this sunny apartment with a little balcony a large living room area en suite with a fully equipped kitchen. Two rooms are available, one with a double bed and one with a single bed. The furniture of the house is modern and easy to use. We provide traditional coffee in a Jezva and a variety of teas. The apartment is really pleasant to live in and is easily accessible. The parking is covered and locked. We remain at your disposal for any further requests.